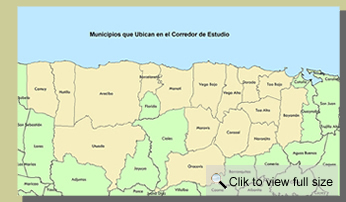 The Municipality of Barceloneta (MB), in partnership with the Northern Technology Initiative consortium (INTENOR, in Spanish), has initiated a study for a transportation system to serve primarily the population of the north area of Puerto Rico. The main goal is to provide a transport system that meets the needs of the area through the identification and the study of possible transit solutions that will connect the northern municipalities. 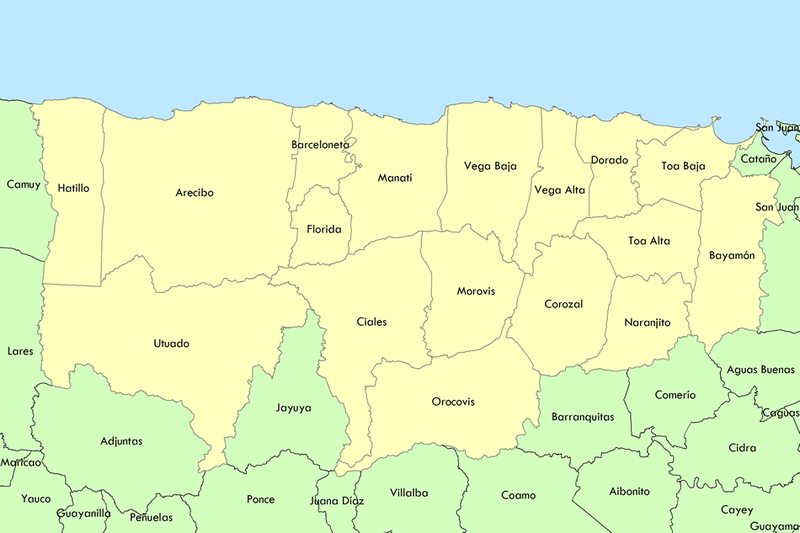 The study area includes the following municipalities: Hatillo, Florida, Camuy, Barceloneta, Utuado, Arecibo, Manatí, Ciales, Morovis, Corozal, Vega Baja, Vega Alta, Toa Baja, Toa Alta, Dorado and Bayamón. 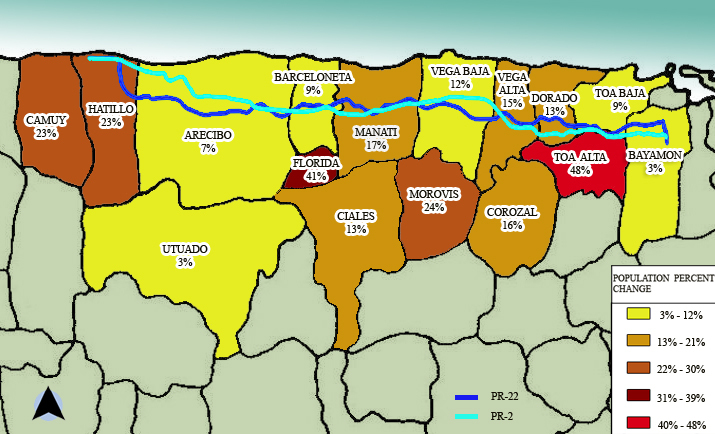 According to the 2000 US Census, the 16 municipalities within the study area hold a population of 845,714 inhabitants. Between 1970 and 2000, the population along the study corridor grew almost 60%, while the whole island has experienced an increment of 40%. Moreover, the population of the region is expected to grow approximately 13% from 2000 to 2025, which will also be significant considering the overall 10% estimated for the island. Copyright © 2008 MTSHB.ORG, All Rights Reserved.